Our sincere thanks to Mr. R. Ring for his invaluable assistance in researching S/L Turner. The official start of the squadron on paper was December 9th of 1941, with actual date of December 15th being the commencement of the formation. With December 28th being singled out as the day when at least one full Flight would be ready for operations, and a second Flight ready by January 5th 1942. No. 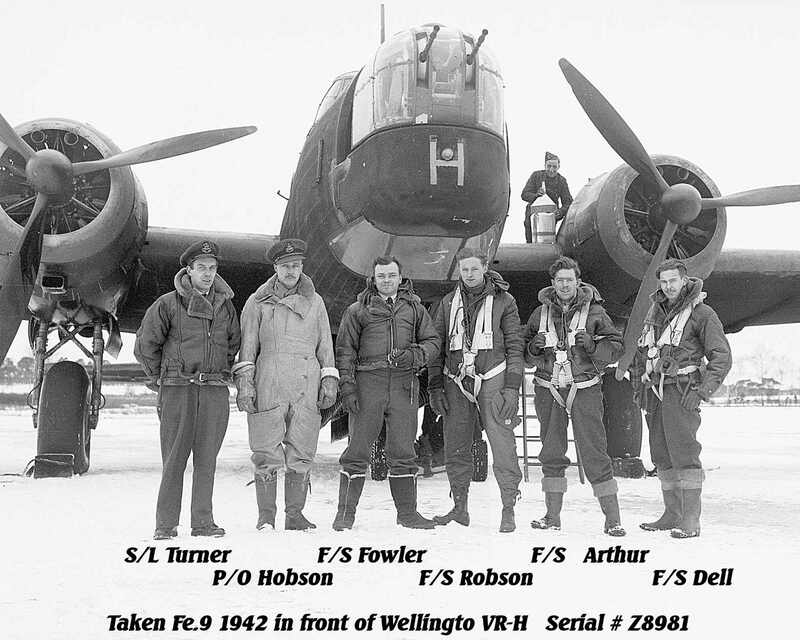 3 Group were to allocate as many RCAF personnel they could to the new squadron as soon as possible. Borrowing a modern term, the "Right Stuff" , definitely expresses the capability of the men who were the leaders of the newly formed 419 Squadron. 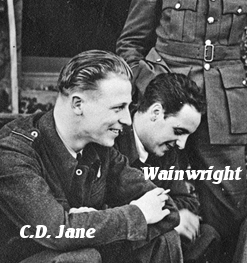 With many operations behind both of them, these two RAF officers and B.C. natives would bring together a squadron that quickly gathered the praise of Air Officer Commanding No. 3 Group. In 1936 Turner from Merritt B.C. joined fellow British Columbia native John Fulton in the RAF. 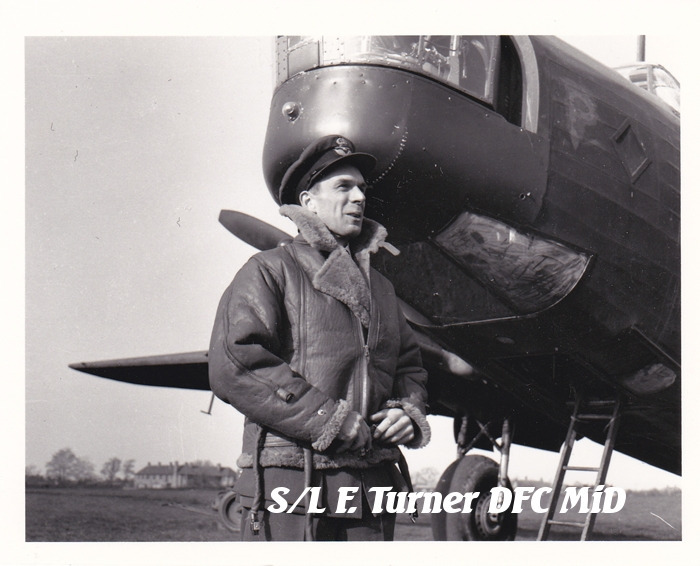 Turner had began his flying career while in B.C. and may have known John "Moose" Fulton from those days in B.C. While he was with 419 he completed over 32 operations, which completed his second tour. 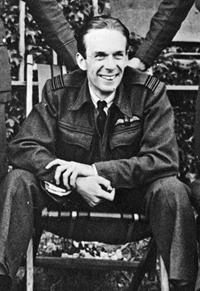 His last operation with the squadron was on June 29 1942. During most of later part of this month his ops records show that he was in a training mode, his usual crew were replaced by others and each operation lists had a second pilot on board. One of most publicised early operations he was on was the March 3rd, raid on the Renault Works at Billancourt near Paris which a number of 419 aircraft took part. After his well earned rest period S/L Turner was posted to No.1663 HCU for training on the Halifax. His next posting would be again in command of a Flight of bombers, this time No. 76’s "B" Flight. This would be the beginning of his third tour of Ops. And by September of 1943 he was promoted to Acting Wing Commander. "This officer has had a long experience of operational duties by day and night. He took part in the attack on the German fleet off Heligoland on the 4th September 1939, and in a number of subsequent daylight attacks on Heligoland and Wilhelmshaven. Since January 1940 he has completed numerous sorties including attacks on the enemy's industrial centres and dockyard towns. He has displayed courage and keenness throughout and has performed excellent work in organizing his flight and training the crews."